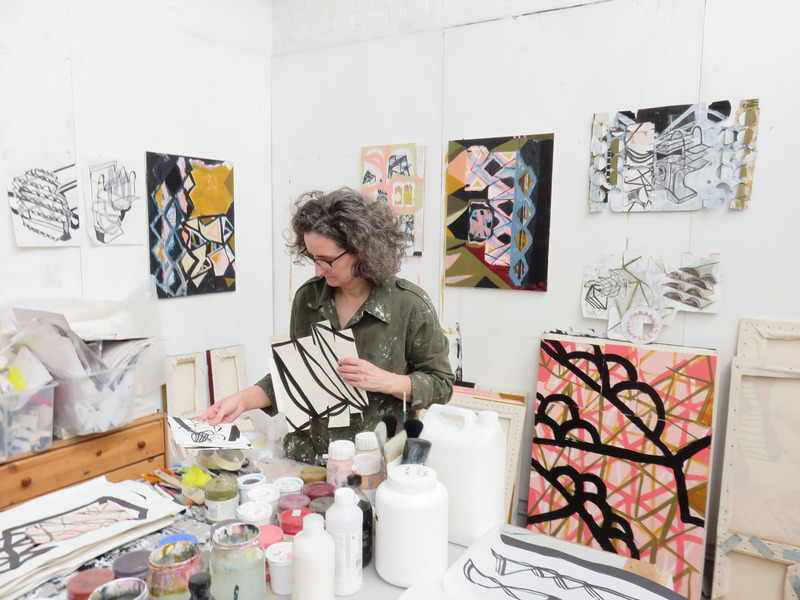 Originally from Yorkshire, Lucy Austin has lived and worked in Bristol for the last two decades. 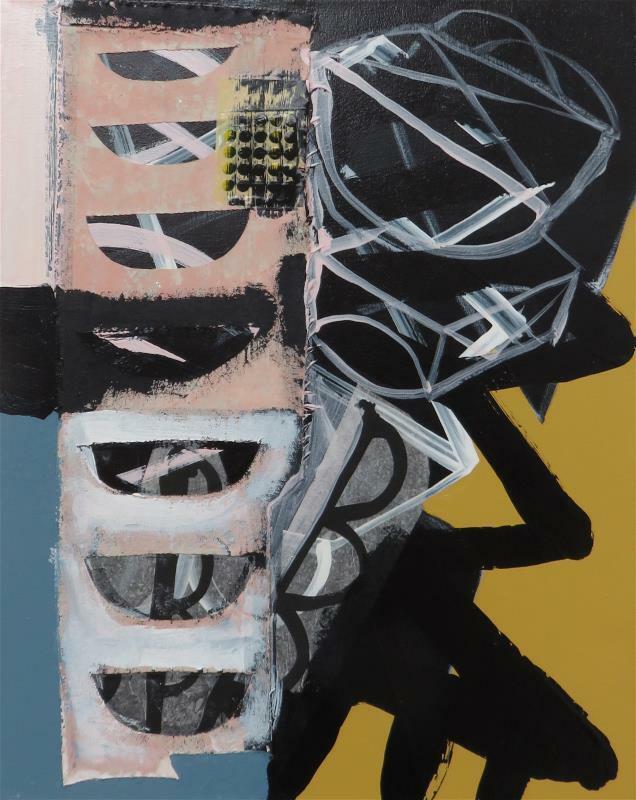 Her distinctive brand of abstraction, combining painting and collage and using imagery drawn both from the landscape and her imagination, has won national acclaim. 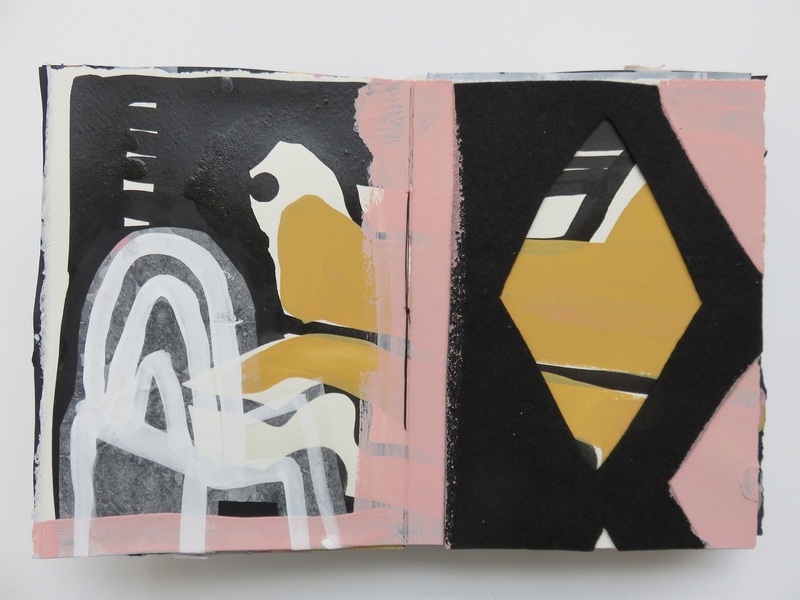 Lucy’s work has featured in the Jerwood Drawing Prize, The Sunday Times Watercolour Competition and The Summer Exhibition at The Royal Academy in London, and she was recently shortlisted for the Contemporary British Painting Prize. She was elected Academician at the RWA in 2016. It happened in stages I suppose, was when I was really small at infant school we had to fill in this height chart and I got really interested in the red crayon I was using and the way I was holding it to make a mark. I remember the teacher got annoyed because I had messed up her neat chart and she told me off, but I remember thinking you are wrong about this and I knew I had found out something really important. Later on at primary school I got really into making drawings of dancers and I remember the feeling it gave me and thinking this is what I want to do, I think I was about 8 years old. After that it became more a necessity to be OK.
Oh see above, I’m someone who has a brain which skips about and making art really helps focus me and it has become essential to make. Well, usually I’m looking around wherever I am, sometimes I take photographs to remind me of what I’ve seen – other times I note down words that are interesting and might be useful. I always have my sketchbook with me, it has become completely essential to record in it as a tool for thinking. When I’m in the studio usually I’m working on several things at once. 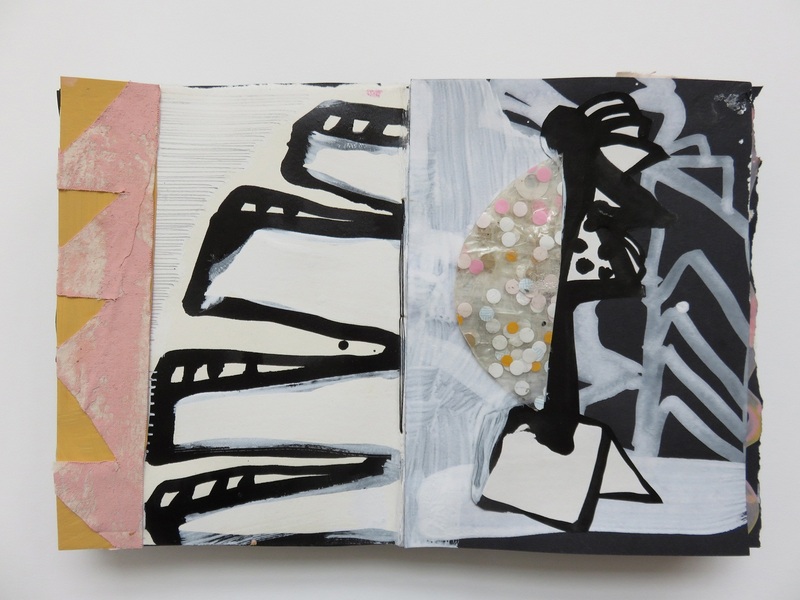 I usually begin with a series of small works on paper and then work them up into a sketchbook. So I may have a series of work on canvas on the go all at different stages, and also fragments of paper which may or may not add into the canvas or become themselves. 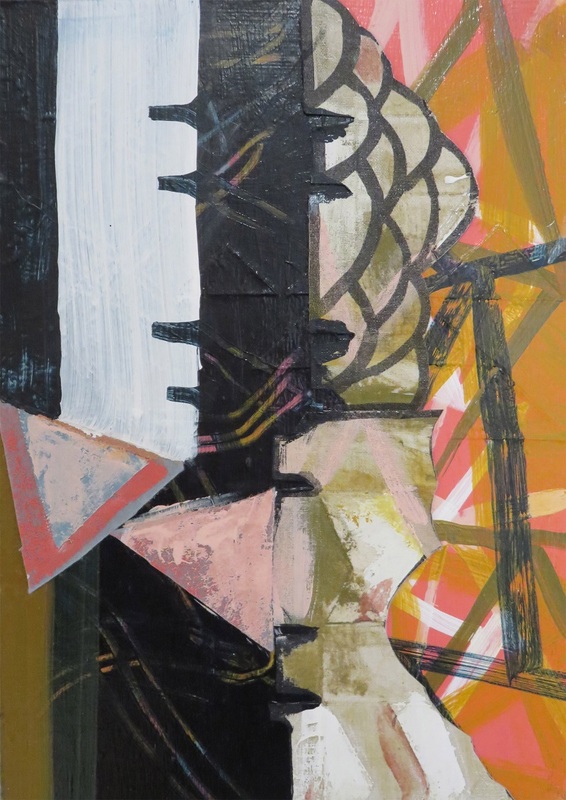 Having work at different stages is useful because I may start off the session by doing something simple like putting gesso on a canvas, and build up to more tricky things – perhaps I want to try something which may mean that the painting will be lost, that would take some doing. When I go to the studio I try to settle in, have a cup of tea and see what comes – that works much better than deciding beforehand what I’m going to do. How important is the process in your art? I have a kind of vague plan, in that I will think about the layers in the process before hand, but I don’t really have a clear image – anytime I’ve tried that it’s been completely hopeless! I love it when it surprises me, I am very easily bored and always want to try out new ways of doing something – as soon as I ‘know’ what’s going to happen I abandon it and try a different way. For me it’s like a search, I call it the ‘restless line’. 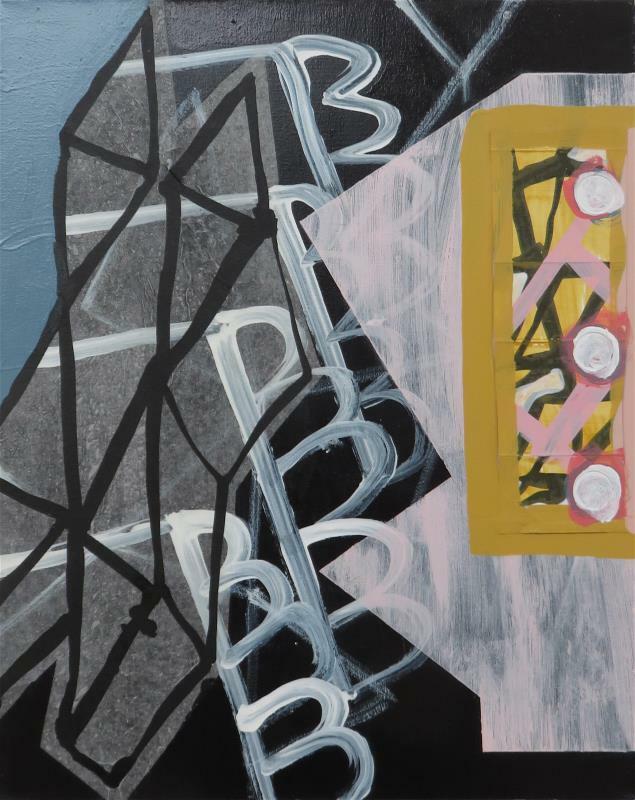 You have described your art as ‘abstract images which resonate with the urban landscape around me’. How important is place – for example, Bristol – in your work? Well, very! I have lived here now for almost twenty years and I think aspects of the urban landscape have seeped into the work. I spent time working at Cumberland Basin before I made the Duolouge series and I think some of the forms I saw there are in the work. But I don’t include literal pictures of the landscape, that seems much too obvious to me. I suppose there have been a few – the main one was when I stopped making temporary installation work which must have been nearly ten years ago now. I realised that that I must face my fear of wanting to be a painter and stop trying to be something I’m not. 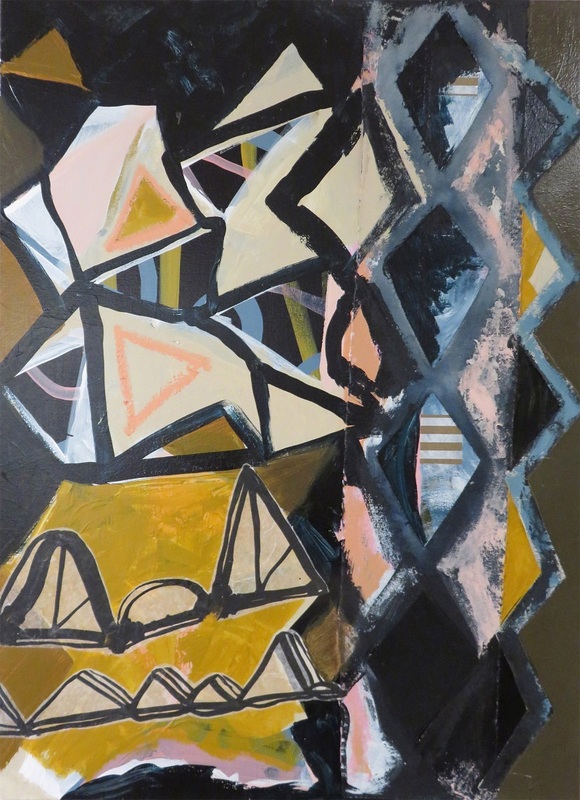 So I started to paint much more seriously – this meant that I could make work which didn’t have to stand up which was just a massive relief, and I could invent anything I wanted. You were made an Academician of the RWA in 2016. What did that mean to you – and what sort of role does the RWA play in your life as an artist? Being an Academician is a big responsibility, first of all the process was fairly demanding but being selected by my peers was a wonderful thing. I’ve met people that I would never have done before and people have approached me because I am an Academcian – so it’s like a mark of quality! What I hadn’t thought about before was that it’s a bit like a family – once you’re in that’s it. 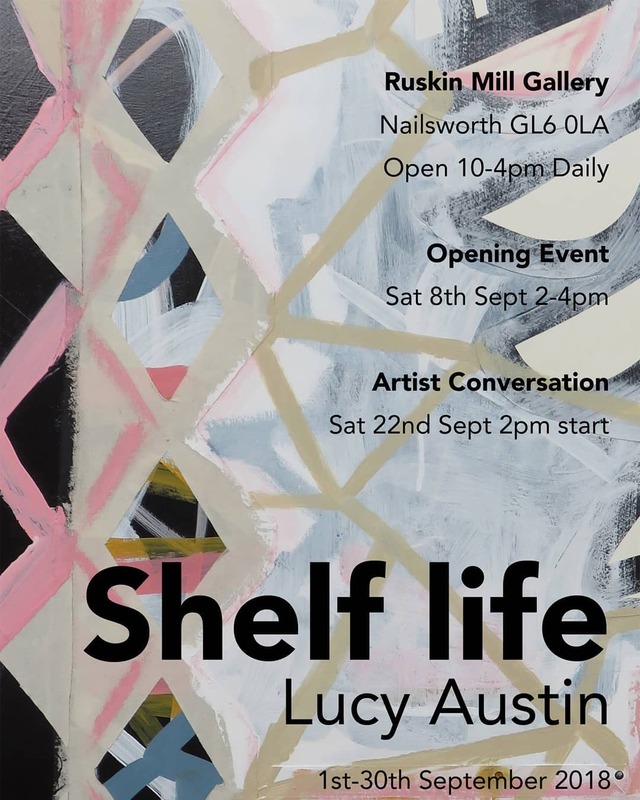 You recently had an exhibitioon entitled ‘Shelf Life’ at Ruskin Mill in Nailsworth. What are the thoughts or concepts behind the collection? The title Shelf Life comes from my preoccupation with collecting various items of packaging, soapboxes, toothpaste, tea and using the cardboard as the basis for starting a painting. It also is a comment on a stage of my life, I’ve turned fifty so it’s also a thoughtful comment about looking back and forwards I suppose. I’ve been working on Paperwork – not sure how much I can say about this as yet it’s too early. 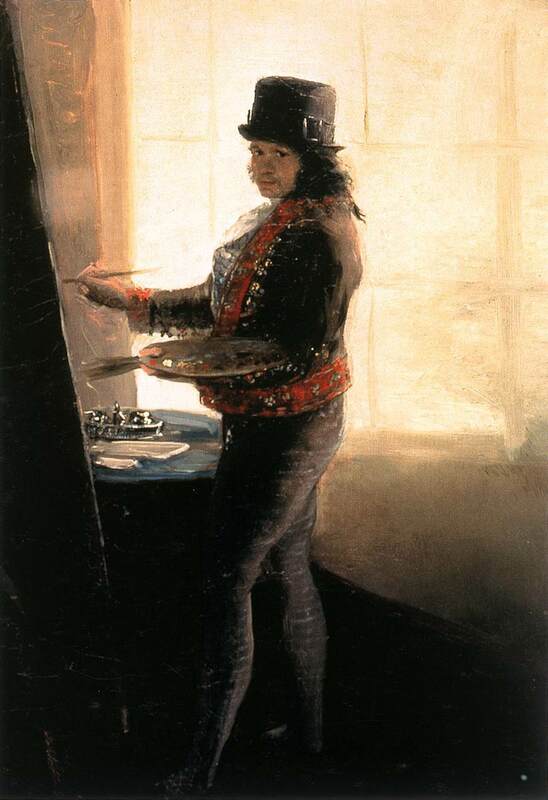 This is almost impossible to answer – but I’ll try, today I would like Goya’s self portrait in the studio painted in 1790-1795, the way he looks at us today from all that time ago, it’s just wonderful. It gives me courage to keep trying. You can see more examples of Lucy’s work on her website. 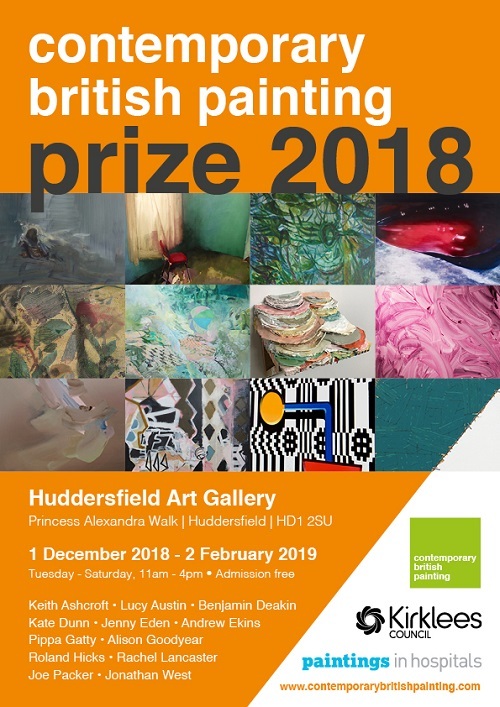 The Contemporary British Painting Prize – for which Lucy has been shortlisted – opens at Huddersfield Art Gallery from 1 December to 2 February and then in London at The Menier Gallery 6 to 16 February. 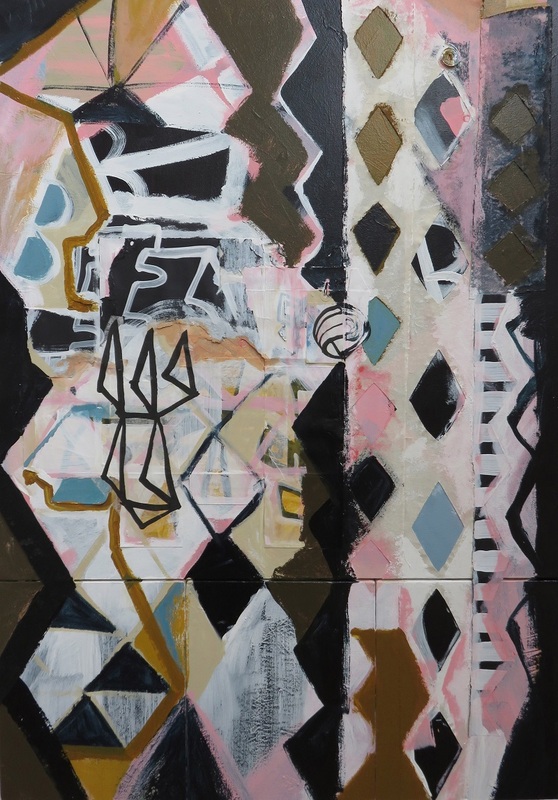 Top image and all painting images copyright Lucy Austin. Previous Gift an RWA Friends Membership this Christmas!